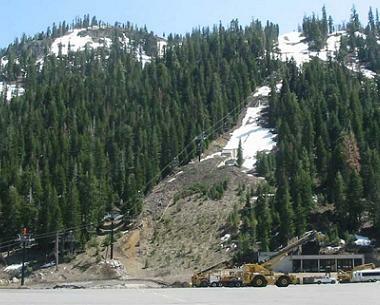 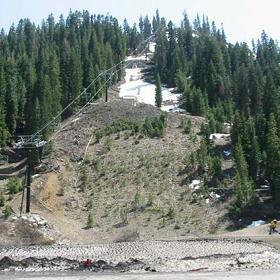 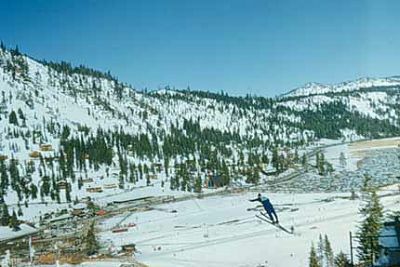 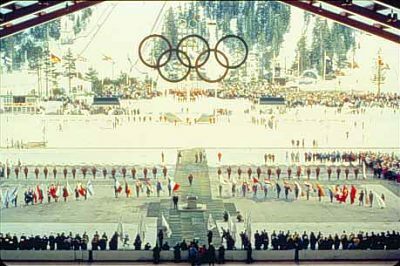 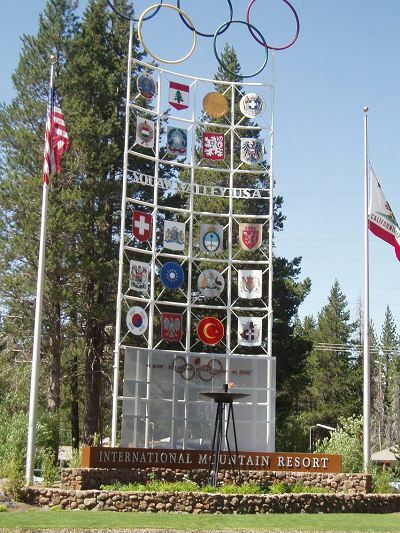 The ski jumping facility of Squaw Valley is a combination of three natural hills, which was constructed at a slope at Little Papoose Peak in Sierra Nevada in the state of California for the Olympic Winter Games in 1960. 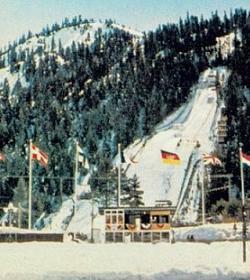 Chief constructor of this ski jumping hill was the architect Heini Klopfer from Oberstdorf, but that wasn’t enough: The Germans also won all Olympic competitions on this hill. 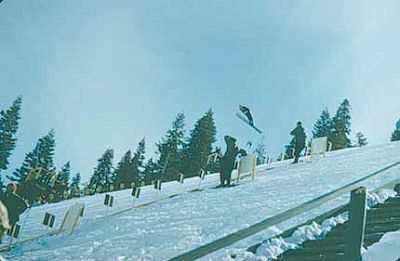 Helmut Recknagel from Thuringia won in ski jumping and Georg Thoma from Black Forest in Nordic combination. 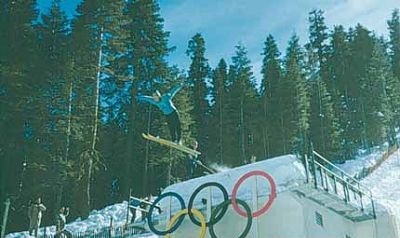 Both won gold medals and could leave the favourite Scandinavians behind them. 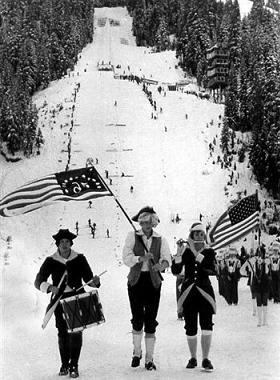 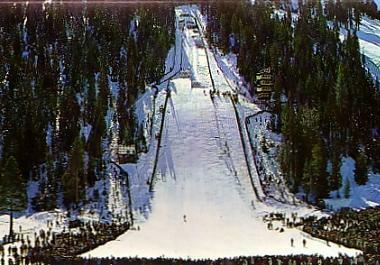 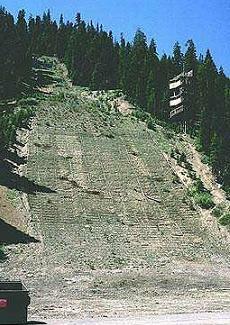 Unfortunately after this great event the ski jumps were used only few times. 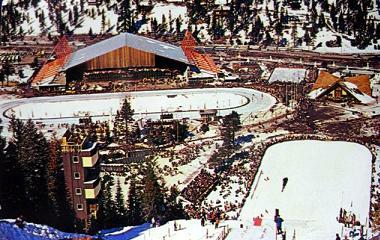 For the U.S. national championships 1976 it was renovated and prepared, but afterwards it again completely dilapidated and became a sleeping beauty. 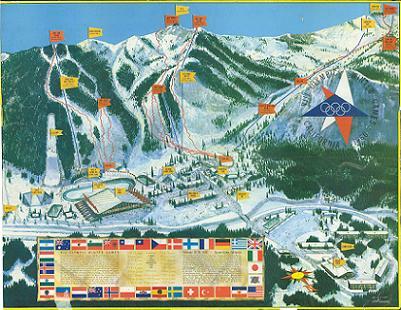 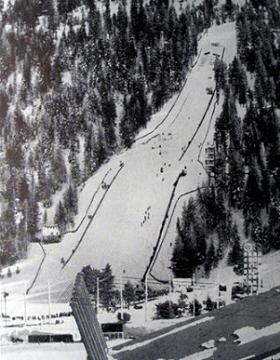 It is know that later speed skiing and snowboarding events were hosted there. 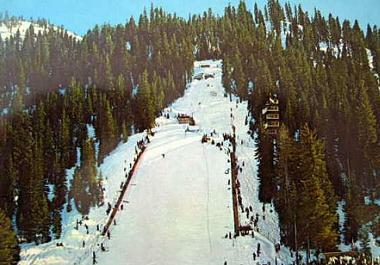 Today the slope is only used for alpine skiing.